Retail isn't where the money's at anymore, says analyst Ben Keen, or at least, not as much of it. 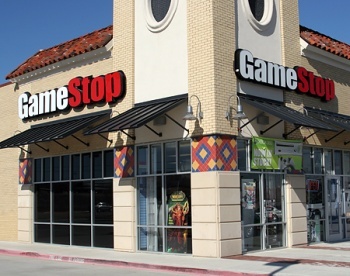 Between competition from online and pre-owned sales, more devices on the market capable of gaming, and people just not spending as much money, Keen, who is the chief analyst for Screen Digest, thinks that the game retail sector hit a peak in 2008 and won't recover in a hurry. Keen expected the sale of new games to continue to be the main source of revenue for videogames, but thought that worldwide spending would decline significantly over the next few years, and only begin to increase again in 2015, after the introduction of new hardware. He didn't think that the decline in spending would necessarily be because people were buying fewer games, but rather that the games would become cheaper as the consoles entered the latter stages of their life cycles. Over the same time period, he predicted that the market share of digital distribution, both from services like Steam and from mobile gaming, would increase from about a fifth of total videogame spending, to just over a third. He noted, however, that these figures only applied to the UK, which has a strong retail market, and suggested that the market share of digital distribution in other territories might be even higher. He also thought that the wealth of new opportunities afforded by social and mobile gaming would result in a certain degree of market fragmentation. He said that this situation would favor companies with large cash reserves, or the size to take advantage of multiple opportunities, and thought that there would be a lot of consolidation in the years to come. Some of Keen's predictions seem pretty bleak, like a whopping 14% year-on-year reduction in new games sales in 2011, and I must admit that I'm rather hoping he's wrong. A contraction on that scale - which according to Keen would see the new game market drop from $18.7 billion to just a shade over $16 billion in just a single year - would be devastating for the industry. DLC and digital distribution would obviously take up some of that slack, but it's still going to be a significant decrease. If Keen is correct, you can expect to see a number of smaller studios - and probably some big ones too - closing, as well as publishers less inclined to take risks on new IPs and ideas.